Darien's Katie Elders winds up to attempt a goal shot during CIAC Class L field hockey game last season. 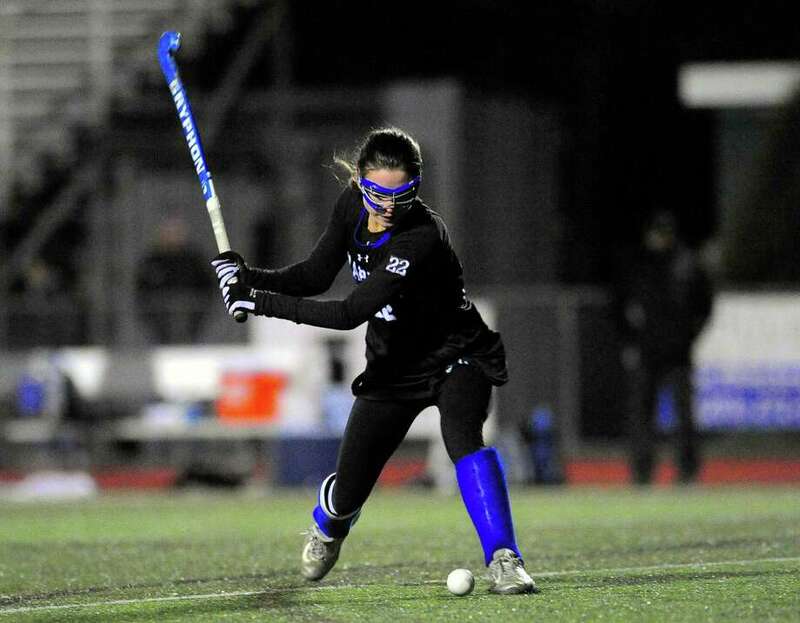 DARIEN—If you look around the Darien athletic program, one of the aspects that makes it so successful is the amount of multi-sport athletes it breeds. One of the more successful in that group is Katie Elders. The rising-senior has been in integral part of championship teams in both field hockey and lacrosse. Her speed is what sets her apart in both sports, but her leadership is where she hopes to shine in 2018-19, having been named a captain of both teams. Here, Elders delves more into her game, her style and what makes her tick.